A perception persists that "one can believe anything and be United Methodist." ...[S]uch a characterization has deep roots in our history, though it misrepresents a misreading of our tradition. As faithful Anglicans, Wesley and his colleagues presumed and affirmed the basic doctrines, beliefs, practices, and liturgies of the established church. The Articles of Religion, the Book of Common Prayer, and the Homilies of the Anglican Church formed the foundation of Methodist beliefs. 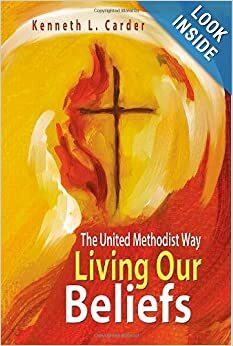 Wesley held tenaciously to the historic doctrines of the Christian faith and diligently proclaimed and taught them to the Methodists and the masses who heard him preach (Kenneth Carder, Living Our Beliefs: The United Methodist Way, pp. 24-25). Bishop Carder also notes several other reasons why Methodists have mistakenly embraced doctrinal indifference. First, is a mischaracterization of what Wesley called the "catholic spirit." For Wesley, the catholic spirit meant that the church, in spite of its disagreements, was one Body of Christ, whether one was Methodist, Baptist, Catholic, et al. While Methodists have rightly encouraged diversity and intellectual exploration, such openness and freedom has "led some to assume that no doctrinal parameters exist" (p. 25). Wesley is often quoted that we Methodists "think and let think," but yet forget to refer to the entire sentence: "As to all opinions which do not strike at the root of Christianity, we think and let think." Carder discusses several idolatries that can only be possible through doctrinal indifference, which adds to the list. Carder rightly notes that belief in God is no virtue. It makes all the difference in the world what kind of God we believe in. "The great conflicts are between competing gods, not between atheism and religion" (p. 28). The Wesleyan revival was not doctrinal. Wesley affirmed the doctrine of the Church of England. What Wesley challenged was to failure to live in keeping with the church's foundational Christian doctrines. Second, success is an idolatry that is countered by sound doctrine. Right and wrong are determined by one's success. 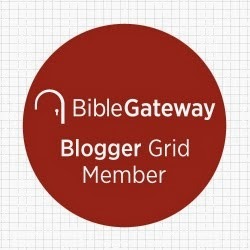 The Bible affirms a different God-- one who in the trinitarian life demonstrates mutual service and christologically rejects rooting "life in prestige, popularity, and political power" (30). Third, consumerism leads to and is a result of doctrinal indifference. Carder notes, "Consumerism reduces God to a commodity to be used as a solution to personal problems or a means to selfish ends. Commodification reduces doctrines, language, rituals, symbols, and practices of religion to utilitarian functions.... Profound symbols become trinkets or adornments." Fourth, hedonism, "the doctrine that pleasure or happiness is the sole or chief good in life" (p. 33). Whereas success defines right and wrong by whether or not success is achieved, hedonism depends upon feeling to determine right and wrong. "If it feels good, do it." "God is reduced to a facilitator of good feelings, a celestial 'Dr. Phil,' a means of avoiding suffering and struggle, and a champion of personal happiness. the church becomes a religious spa, the effectiveness of which is judged by its ability to solve personal problems and create positive feelings" (p. 33). Whereas hedonism connects happiness to good feelings, John Wesley connected happiness to holiness-- one whose heart was right toward God and humans. Happiness is "the by-product of our relationship with God, the participation in God's reign of justice, compassion, righteousness, and joy" (p. 34). Happiness requires holiness, and holiness requires sacrifice and self-denial. There are other popular gods that rival the God of the Bible, and they can only have a foothold in the church because of doctrinal indifference. Carder doesn't go into detail, but lists them: nationalism, individualism, rationalism, racism, sexism, violence, institutional religion" (p. 34). For Wesley true religion included correct doctrine and faithful living and one could not really be had without the other. To emphasize one to the exclusion of the other was to distort both. I quote Bishop Carder one more time: "Authentic religion for the Methodists means sharing the life of God whose love is poured out in Jesus Christ and whose Holy Spirit shapes us into the likeness of Christ and empowers us to be holy as God is holy. Religion, then, is a relationship with a particular God, the One we call Trinity" (pp. 35-36). In the next post I will discuss the first of three reasons why doctrine matters-- it supplies us with a particular perspective on life and the world.